Bring the ball and racquets. We’ll take care of the court. We build 36’, 60’, and full-sized 78’ tennis courts for homes and tennis facilities. You can be confident because you’ll be getting a truly professional-grade court: both 36’ and 60’ Sport Court tennis courts have been used by the United States Tennis Association® for years. 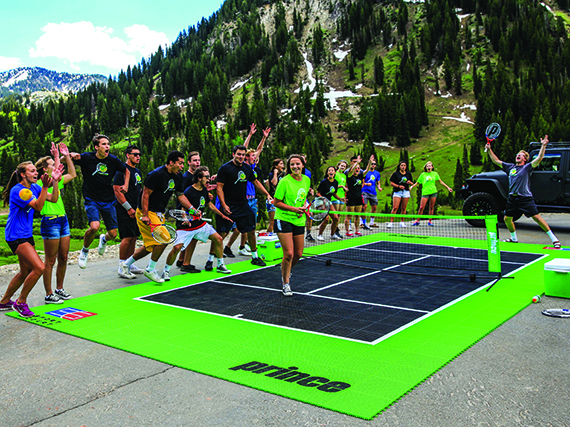 Our certified CourtBuilders™ can install high-performance courts efficiently and quickly without adhesives. We also combine the safest court technology in the world with eco-friendly materials to make your recreational areas the best for your communities and the environment. 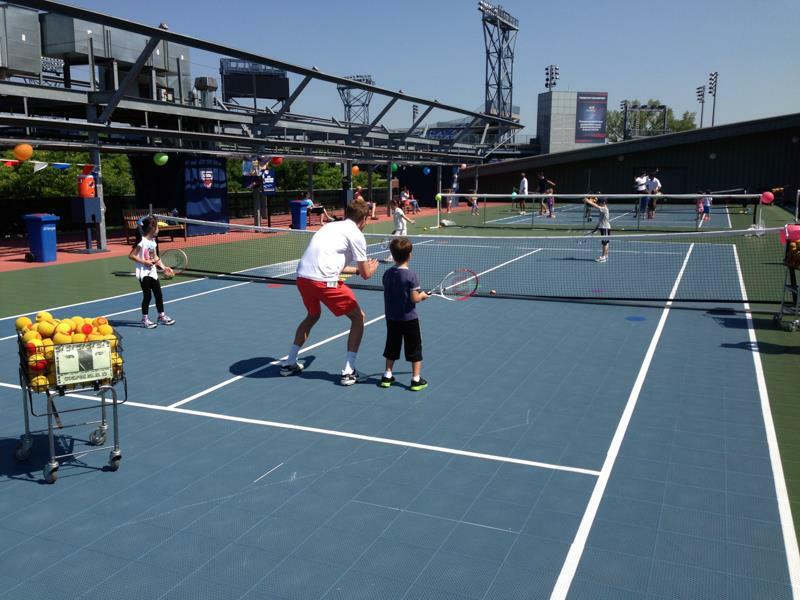 Both tennis veterans and young tennis rookies can attest to the importance of a Sport Court tennis court. Thanks to our patented Lateral Forgiveness™ and superior shock absorption, tennis players are able to play the game they love longer and better than ever before. Contact your local CourtBuilder to find out more about getting a Sport Court tennis court surface for your backyard or facility. In addition to designing and installing tennis courts, our CourtBuilders also specialize in backyard basketball courts, multi-sport game courts, volleyball courts, futsal courts, roller hockey courts, netball courts, handball courts, and putting greens.